Jack and Damon are at it again-- the completely incomprehensible situations that Jack gets herself into will keep you reading and reading and reading-- SO GOOD!!! Can Damon keep her safe??? This is a perfect romantic suspense! 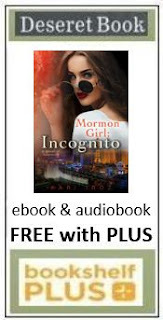 Hilarious heroine Jacklyn Wyatt is back—this time in a dicey Vegas adventure! 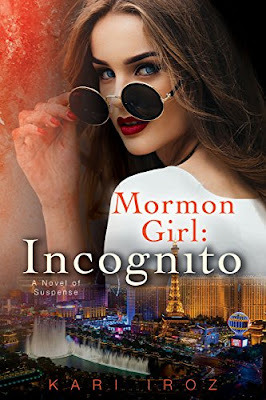 Jacklyn “Jack” Wyatt is just your average Mormon girl—other than her brief stint with the FBI, her subsequent brush with death, and her dreamy boyfriend, Special Agent Damon Wade. But in the eight months since she helped save a kidnapping victim, Jack’s life has returned to its mostly stagnant state. She’s still trapped in a dead-end job, and even her relationship seems to be stuck in a rut. These days, adventures are few and far between. So when Damon heads to Las Vegas on assignment, Jack sees the perfect opportunity to surprise her boyfriend and rekindle the spark in their relationship. But the surprise is on her: she has just landed herself in the middle of a high-stakes operation involving Russian criminals. Unwittingly drawn undercover once more, Jack is all too aware that the survival of Damon and his associates depends on the success of her charade. In the unfamiliar world of luxurious limos, exclusive nightclubs, and gambling, Jack must convince the high-rolling hustlers that she is a terrifying international arms dealer. If only she knew anything about poker. Or guns . .
(Covenant Communications will notify winner by email).